In the book The Venture Capital Cycle, it’s estimated that nearly 25% of VC-backed startups are acquired by a big corporate. 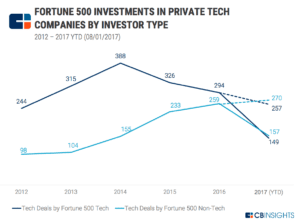 CB Insights data reveals that hundreds of startups are bought by Fortune 500 firms each year. Startups are acquired for a number of reasons, whether it’s to acquire the company’s IP, their talent, their products, or — for more advanced startups — their user base and revenue. Regardless of the motivations for acquiring the startup, integrating it into the core business is never easy. Do they assimilate into the main company or remain as a standalone entity? How are the cultural differences tackled? These are just a couple of the challenges big companies face when they buy a start-up, and so it’s perhaps not surprising that even with months of effort that has gone into strategic planning, searching and screening potential startups and then the negotiation process itself — many acquisitions still fail to deliver results. The following are a few things you can do to ensure your own acquisitions achieve the best results. 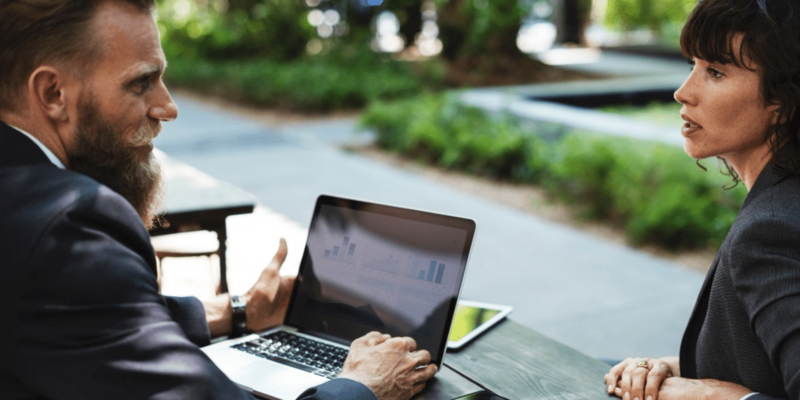 Your integration strategy will depend heavily on the overall objectives of the deal, so it’s crucial that you keep these in mind at all times. While it’s tempting to use off-the-shelf plans to do this, the reality is that each startup is unique and your objectives for them will be as well. With this in mind, it pays to put the effort into crafting a bespoke strategy. For instance, if your goal for the acquisition is to gain access to a startup’s intellectual property or even it’s talent, then those are things that can allow you to integrate the startup into your business fairly quickly and completely. If however, you’re buying a more mature startup that has a customer base and revenue, then attempting to impose your culture and processes on an already operating business could be extremely harmful to your integration efforts. Key takeaway: The objectives of the deal will fundamentally shape both the way you integrate the startup and the pace at which you do so. 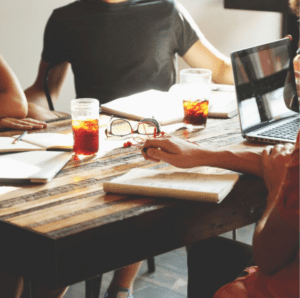 The cultural differences between startups and big corporates is well known, and these differences can make integrating a startup incredibly difficult. They’re many of the same differences that enable startups to be so innovative and encourage big companies to want to buy them in the first place. It’s easy to overlook this fundamental difference, especially if the mission of the two companies appears similar. Culture is more than having casual Fridays, it goes down to the very heart of how an organization behaves. If you’re integrating an established team that has grown together, the challenges are especially pronounced and can lead to frustrations in both the acquiring organization and the acquired startup. If things get particularly dire, key talent will often walk out, further harming your attempts at integration. Suffice to say that culture is an incredibly complex topic that would be the subject of several blogs in its own right, but if you take one thing from this piece, it’s that you should ensure that you assign ample resources to cultural integration. What’s more, these resources should not just be allocated at headquarters but in a distributed manner throughout the organization. Key takeaway: Address culture right from the start, including when you analyze potential startups to acquire. It’s pretty well known that most mergers and acquisitions fail to derive value for the buying company, and the acquisition of startups can be even more fraught with risk. It’s crucial that you can turn the strategic objectives mentioned above into quantifiable goals that you can measure progress against. This is fairly easy to do if you’re buying IP because you can easily track the progress of that IP into new products and services. Other objectives are harder to quantify, though. Poor performance in tracking the progress against the targets established when buying the startup can often be attributed to the inherently unglamorous nature of the goal setting and measurement. Buying a startup and strategizing about how it can boost revenue is exciting, but actually operationalizing those strategies is somewhat less so. Targets are crucial for measuring progress, so you need to establish quantifiable goals for the acquisition, outline plans for how those goals will be achieved and track progress over time. It can be a daunting process, but it’s one you will need to undertake. Key takeaway: Make sure that you can quantify your goals for the acquisition and then measure progress against those goals. Successfully integrating a startup into your organization requires a full-time, dedicated team to work alongside the startup’s leadership team. The ability to fill this integration team with the right internal talent is a key aspect that distinguishes high-performing organizations from their peers. In your quest to get the best people onto this team, you might need to move them from other parts of the organization. While this can be scary, it’s something that should certainly be considered. This team should involve not only the right managers to ensure that the startup operates according to the strategic goals of the host organization, but will also need people who can ensure the startup has access to all of the political, financial and human capital required to thrive. In order to make such a transfer appealing, you will need to communicate the merits of such a move, and the the progress it can bring to those talented individuals within your organization. This is crucial because the role can be seen as a temporary placement that will get in the way of their career progression. Key takeaway: Make a spot on the integration team one of the hottest roles in your organization by underlining the strategic importance of the acquisition. Startups are incredibly exciting because of the new technologies, products and business models they can bring to market. They’re exciting because of the talented and innovative individuals that have made this happen. When buying them it’s key that you manage to not only maintain the progress they’ve already made, but provide the resources and infrastructure to help the startup grow to new heights. Big companies have many of the things needed to help startups achieve that scale and reach. You have the financial clout and the exposure in global markets. You have the connections to open doors and the staff to support growth. If you integrate the startup successfully then you can enjoy the energy and inspiration that the startup can bring, allowing it to scale without strangling their potential in rules and bureaucracy. If you can follow the guidelines outlined above then you stand a good chance of making that happen, achieving the goals both of the startup and their new parent organization.